Services | S.G.DeFreitas & Co. Ltd.
We stock, supply and install residential air conditioning systems starting from 9K Btus. Offering both standard R410a systems as well as Inverter units, we can meet any need you may have. And now, all of our new systems are supplied with a factory applied anti-corrosion coating on all condenser coils, to get the most out of your unit. 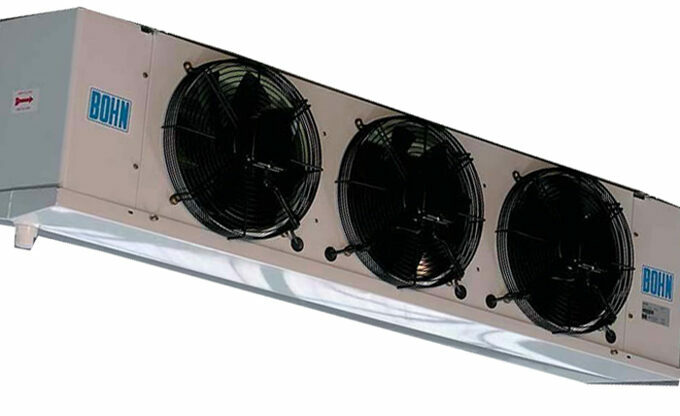 We also design, engineer, supply, install and maintain a variety of commercial/industrial air conditioning system; including the revolutionary McQuay MDS ultra efficient air conditioning system. We can also offer commercial split systems and chilled water systems. The diversity of what we can offer is almost endless, so ask us what we can do for you. Your one stop for commercial and industrial refrigeration. We can design and build just about any system you could ask for. From a small walk in freezer/cooler, to a multi-room cold storage facility covering thousands of square feet. We can also provide industrial and process refrigeration equipment, ranging from process chillers (used in baking, plastic production and ice production). 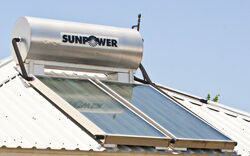 Let the sun pay your heating bill! From a heater for a small home, to multiple system arrays for hotels and industry, we can customize a system to fit any needs you may have; including simple thermosyphon systems (pictured above) and hidden tank pump systems.